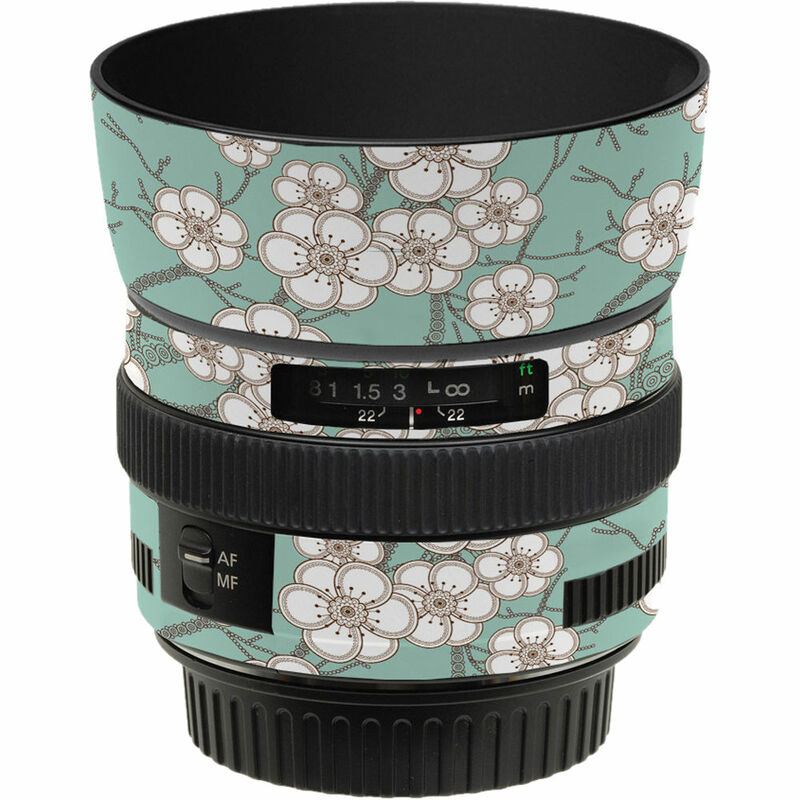 The zen Lens Skin for the Canon 50mm f/1.4 USM Lens provides your lens hood and lens barrel area around the distance scale with a super-thin (1mm) 3M UV vinyl coating that guards your lens against incidental scratches and bumps. It is custom-cut to match your lens hood and is easy to install and just as easy to remove. Once removed, no residue will remain. Neither will your lens suffer any damage to its finish, plastic pieces or moving parts. Once applied, which is generally accomplished within 10 minutes, you'll still maintain full access to all the functions, windows and buttons on your lens. The kit comes with two hood pieces, a front lens and rear lens cap as well as three body pieces. It is also available in various styles and designs to suit your taste and shooting style. Lens Skin for the Canon 50mm f/1.4 USM Lens (Zen) is rated 4.0 out of 5 by 2. Rated 3 out of 5 by Marduk360 from Looks cool, but not perfect The quality of the vinyl itself is very good. The designs look cool. Pretty straight forward to put on, except for the hood pieces. Main issue is that most of the pieces are not cut to the exact dimensions of the lens, some pieces are too short. For the cost of this kit, I would have expected instructions (currently official site is unreachable) and perfect fit. On the fence on recommending this to friends. Rated 5 out of 5 by JCW from Great Accessory This is a really cool accessory and enhances the look if the lens!